A few years ago, I went to see an intramural softball game with my father-in-law, Ed. My wife’s brother was playing in the game that consisted mostly of people from my in-laws’ church. Don’t let that fool you, though. A lot of these church dudes could absolutely crush a softball out into the parking lot without even thinking about it. None of the minivans parked just beyond the outfield were safe. We got to the game about five minutes before it was supposed to start, leaving us enough time to pick a good viewing spot. Then we busted out our lawn chairs and waited for things to get rolling. The players on both teams were practicing their throws and swings when I noticed a glaring absence from the field—the umpire. Game time had arrived and nobody was actually there to call the game. I overheard a random discussion from some of the players about what I had just noticed, and looks of concern began to spread quickly over everyone’s faces. 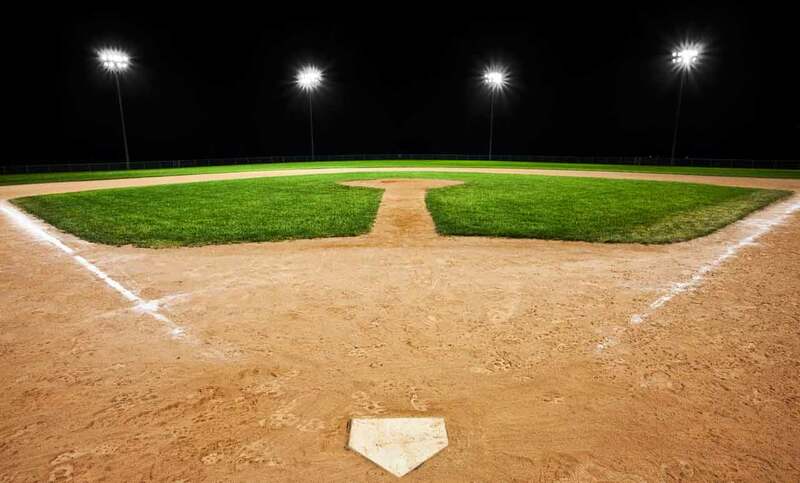 Nobody wanted to forfeit the game, but they needed an umpire there to make sure the score could be accurately recorded in order to have the game catalogued in the system for appropriate rankings and what not. I know, I know…this all seemed a bit much for me too, but church softball leagues have a tendency to take themselves very seriously and I wasn’t about to openly mock the system while a bunch of large, angry softball players were close enough to swing a metal bat at my face. My father-in-law knows the game of baseball pretty well, so I wasn’t really surprised when he quickly responded to the open request with, “I’ll do it!” Ed then rose from his lawn chair, casually walked over behind home plate, and began to call balls and strikes as the game got underway. Up until this time, the disciples had really just been observers of what Jesus was doing in His ministry on earth. Now, at the prompting of their leader, they’ve gotten in a boat and been lead directly into a storm they didn’t ask for. Their faith is tested by the crazy events in nature, and unfortunately for them, they have come up wanting in the Belief Department. I have a tendency to scoff at the disciples when I read stories like this and murmur to myself, “Yeah, you punks. Where is your faith? Jesus has been revealing Himself to you and you still don’t believe yet?” But I’m exactly the same. I’m usually quick to point out the flaws of the disciples, yet in my heart I know I would have been the exact same way if I were in their sandals. We are all faced with spiritual moments in life that take us from casual spectators to active participants, especially when it comes to being a person of faith. Yes, we had faith to accept the payment for the penalty of our sins when we became Christians, but do we have that same day-to-day, moving-out-of-our-comfort-zone, trusting-God-no-matter-what kind of faith? Probably not. It’s easy to sit and be a spectator…the chairs are comfortable and we don’t feel like we’re in danger. But God doesn’t want us to live a mundane existence of sitting and watching the world go by. He wants us to participate in the action so badly that He’s willing to shake us out of our apathy and lead us into a storm—just like He did with the disciples. Faith is something God values in a way I don’t think I will ever comprehend. I may not necessarily understand it completely, but I know God wants me to live in it and walk by it moment-by-moment. If I do, I get a glimpse of the abundant life Jesus talked about: I can live life to its fullest. I am involved in the game instead of just watching it. I am doing what I was created to do. I am inside the will of my Father God.